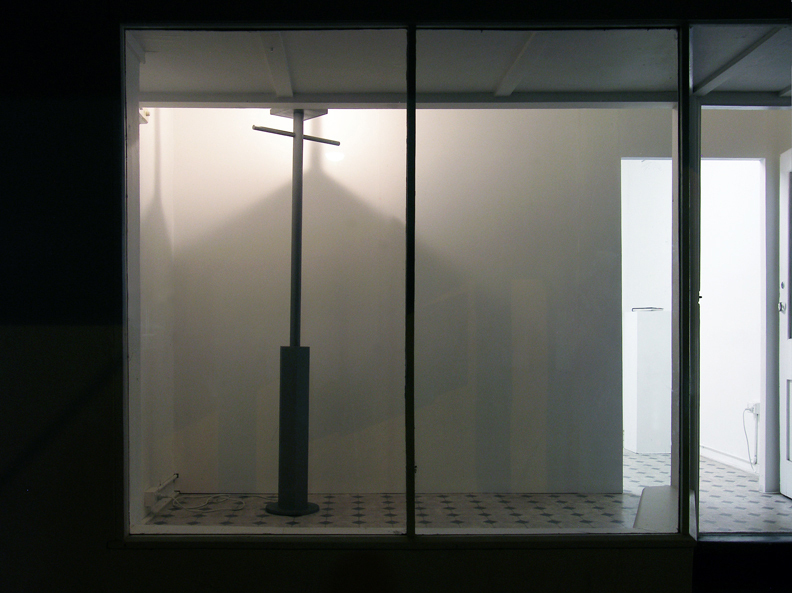 This work was conceived for the exhibition No Relation, curated by myself and Shane Haseman. The show aimed, paradoxically, to present an exhibition compiled as arbitrarily as possible. 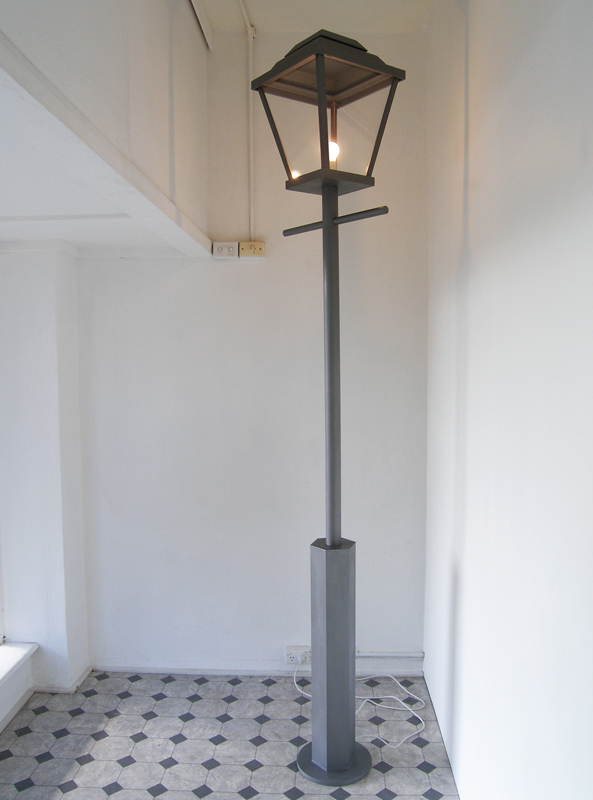 Taking the theme of the exhibition to heart, the work ‘Lost’ was an approximation of an iconic street lamp re-sited within the gallery window. 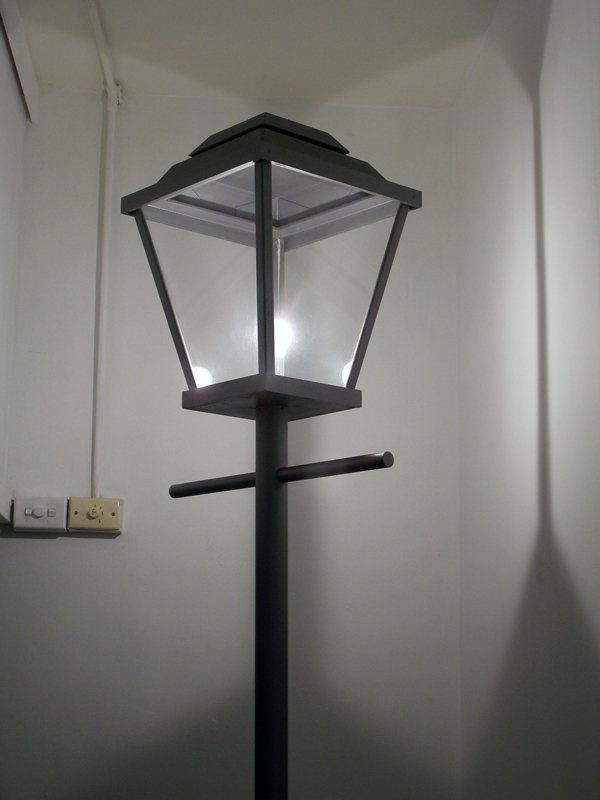 Classically, the isolated street lamp usually suggests illicit – drunken, sexual, criminal – social interactions. However, inside the gallery, the lamp acted as a beacon that merely called attention to the circumstances of its own hapless alienation. At the same time the lamp functioned as a somewhat forlorn simulacrum of the actual streetlamps outside. Distant recollections of Rene Magritte’s ‘Empire of Lights’ (1947) – where a single street lamp glares in the night but under a daytime sky – were further conjured as the object’s domesticated displacement ultimately indicated not its belonging to the world, but its place within the evasive and changeable realm of representation and allusion.